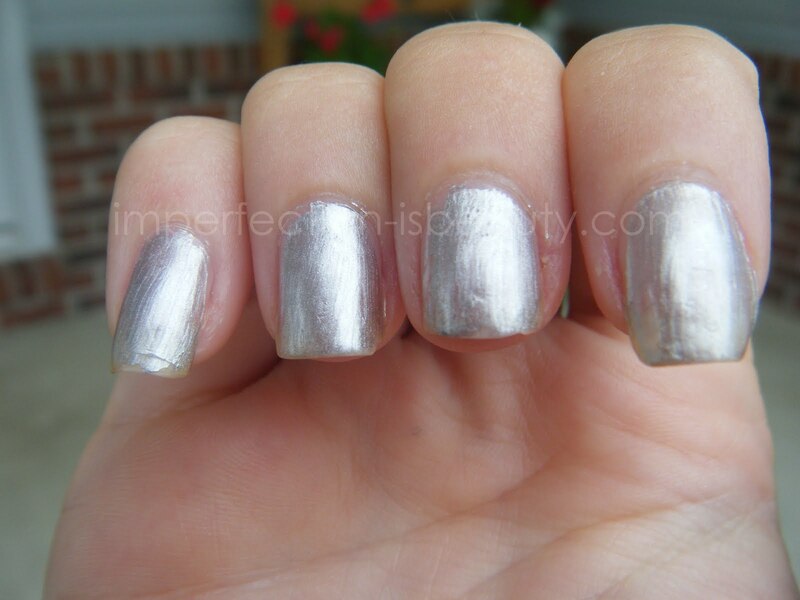 I've seen the crackle polishes, on every blog, every beauty channel, and almost ever person I encounter. I didn't really see what all the hype was and honestly, I didn't really think it was my style. Its definitely different, and unique and I think its actually really pretty I just thought that I couldn't pull it off. Well Brandyn decided to surprise me and pick me up some little goodys at the store the other night and I thought it was cute and I didn't wanna hurt his feelings by not wearing it so I decided to paint my nails last night (I usually do every Sunday). Before I removed my nail polish from last week I tried the crackle over top of my white polish and it didn't look all that bad. B mentioned to me that he really liked the picture of the advertisement, it was silver with the pink crackle. So taking his nail polish advice was a little bit unusual but I was feeling a little risky and if it didn't look ok I could always remove it. To be honest I was surprised the way the two turned out and was very pleased with the two together. Using wet n wilds Metallica as my bottom later just one simple light coat. I was very impressed with the way Metallica looked with only one coat. It was very opaque, had a great amount of shine, and the formula was overall a great product. If it were fall I would probably just wear it as is, especially being only one coat. What's your favorite crackle color? im obsessed with crackle polishes! love this color combo.